It is said that the words that are engraved through journalistic writings are not just composed of ink, but also with the fire of the soul. Because journalism needs devoted hard work and any idea, encoded as a message, cannot be emitted without a communication medium. Mass Media is a huge sector, having an immense impact on common lives. Keeping all these things in mind, estimating the functioning and effects of mass media is very important. The collection of various compositions related to the industry, ‘Sambad Prasang-2’ (roughly translates to ‘Communication Context- II’), has been published by the Indian Institute of Mass Communication (IIMC), Dhenkanal. 25 articles related to the mass media, published in different papers and magazines, have been included in the book. 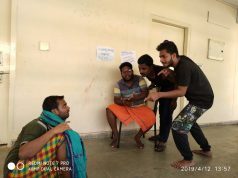 The role of the media before and after independence, the popularity of the media and the position of the current media are extensively examined in various articles. Several articles related to the language style of the media, the policy of media and the social responsibility and duties, contact in the dialogues and literature, the religion of journalism, the role of translation, etc. have been placed in the book. This book is useful not only for journalism students, but also for those involved in this profession. Articles, written by renowned writer Manoj Das and Dr. Radhnath Rath etc. have made the book much more readable. Manoj Das has questioned the inclusion of many news stories published in the newspapers in the name of freedom of press nowadays. He has mentioned that more than the outer world, the conscience is filled with negativity. That is why self-assessment of conscience is required. 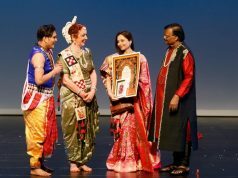 At the same time, Dr. Radhanath Rath, former Editor of ‘The Samaj’ has raised questions about the functioning of media with his article ‘Where is the purity of journalism?’ Through the article, he opined that journalism had a great objective before independence, but now the integrity of the Fourth Estate is being sacrificed before narrow-minded selfishness. Dr. Pradeep Mohapatra, former head of the journalism department of Brahampur University, has discussed the development of journalism from 1936 to 2016. He has highlighted the changes in the field of journalism in his article. 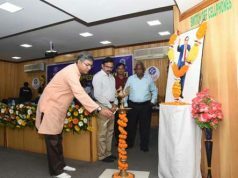 Noted litterateur, Haraprasad Das highlighted various aspects of the language of journalism in his article, including language, literature, newspaper production etc. Prof. Dr. Mrinal Chatterjee has highlighted various laws related to the media, the role of the Press Council of India, the reliability of mass media, through his write up ‘Freedom of communication and social responsibility’. Apart from this, articles regarding the policy of mass media (Dr. Ravi Ranjan Sahu), parliamentary secularism and mass media (Arun Pandya), the role of mass media in eradication of corruption(Abhay Dwivedi) etc. have also been placed in the book. The book can assess various important topics of the communication medium and is capable of bringing about a change in the thinking of persons associated with journalism. 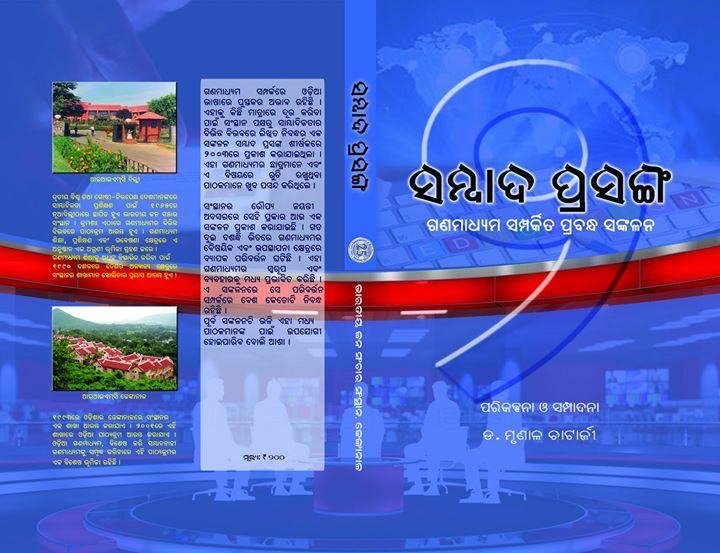 This book has been published in the editorship of Regional Director Dr. Mrinal Chatterjee on the occasion of Silver Jubilee of the Indian Institute of Mass Communication (IIMC), Dhenkanal. The first part of ‘Sambad Prasang’ was published in 2003.